Almost 100% of authors cannot register their-self for patent protection for their technical solution without helping of the attorney. 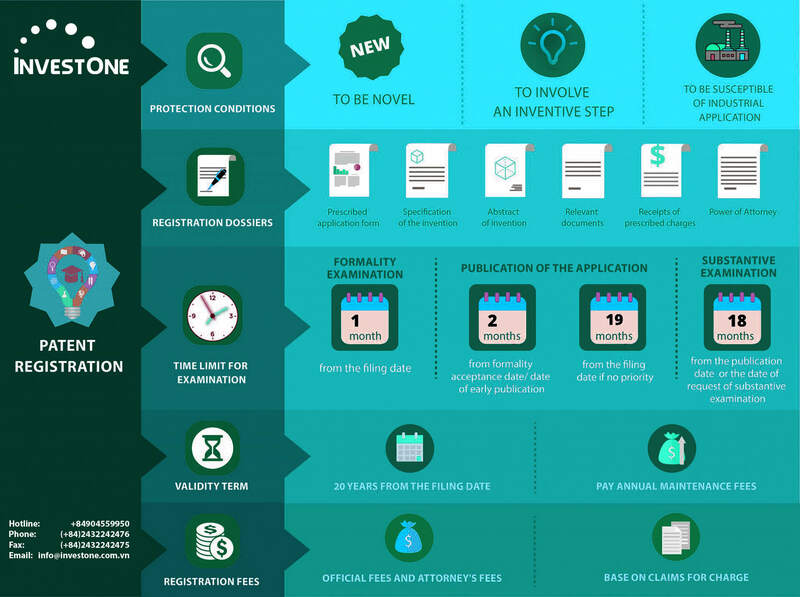 Because of the invention can be considered as the most complex object of intellectual property objects, so the procedure for registration of patent protection is very complicated, time-consuming and labor-intensive, requiring strict conditions. Circular No. 01/2007/TT-BKHCN of February 14,2007 guiding the implementation of the Government’s Decree No. 103/2006/ND-CP; supplemented and mended on Circular No. 13/2010/TT-BKHCN of July 30, 2010 and Circular No. 18/2011/TT-BKHCN of July 22, 2011. Circular No. 263/TT-BTC of November 14, 2016 stipulating the rates, collection, remittance, management and use of intellectual property charges and fees. The validity term of a Patent on Invention is 20 years and of a Patent on Utility Solution is 10 years from the filing date. Representing clients in filing patent application in foreign countries and international patent application under Patent Cooperation Treaty (PCT).